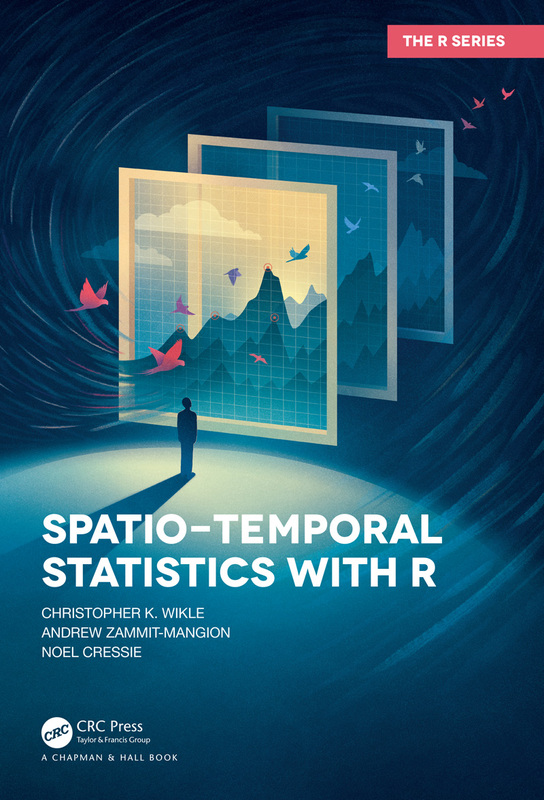 This website, https://spacetimewithr.org, is meant to serve several purposes: It is a landing page for our book Spatio-Temporal Statistics with R (including an associated R package STRbook, reviews, and an errata sheet); it offers an opportunity for individuals to participate in a Discussion Forum; and it is a place where new software, data sets, and articles on spatio-temporal statistics can be posted. Click here for Endorsements and Book Reviews. Click here to visit the Errata page. Click here to visit the News page. The Code page has instructions on how to download the book's R package, STRbook, as well as R code for all the Labs. Click here to visit the Code page. The Articles page contains references and links (if available) to articles on spatio-temporal statistics. The discussion forum below is hosted by Google Groups.